I remember well the first time I tasted it. I immediately was in love with the salty and fishy flavor that topped a cracker with sour cream. My love affair with caviar has continued ever since. I know I’m not the only one in perpetual search for great caviar in Pattaya. What is considered the best caviar in the world? Caviar is a delicacy consisting of salt-cured fish-eggs. These tiny black pearls, so exquisite in flavor and texture, have become a symbol for luxury. Traditionally, the term caviar refers only to roe from wild sturgeon in the Caspian Sea and Black Sea. The rarest and costliest caviar is from beluga sturgeon that swim in the Caspian Sea. Gourmets prize beluga caviar for its soft, extremely large eggs. It can range in color from pale silver-gray to black. The rare golden sterlet caviar, once reserved for royalty, follows beluga caviar closely. Next in quality is the medium-sized, light brown to rich brown osetra, also known as Russian caviar. 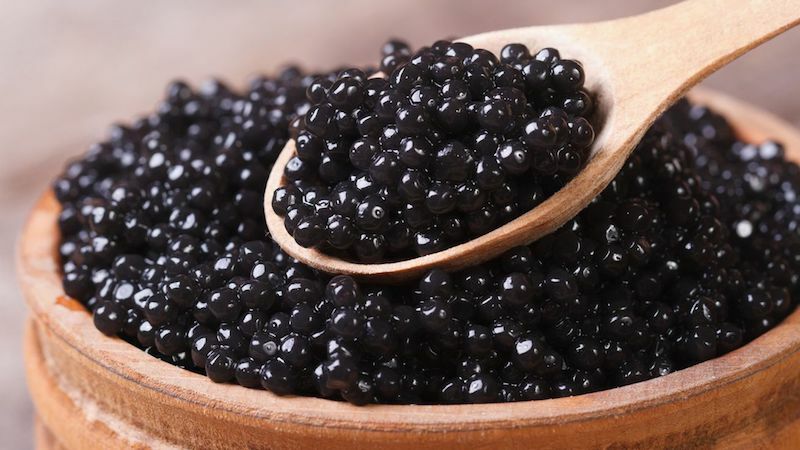 Other quality caviar includes gray sevruga caviar, Chinese Kaluga caviar, and American osetra. The Siberian variety with black beads is similar to sevruga. It is popular because of its reduced (5 years) harvest period, but it’s more briny than other kinds. The Chinese Kaluga hybrid varies in color from dark gray to light golden green and is a close cousin of beluga caviar. Gourmets searching for good caviar in Pattaya will quickly find that there are not too many options. Some of the higher end hotels frequently offer caviar and so do we at Casa Pascal. And because of my love for caviar, I want as many people as possible to be able to try this delicacy. We therefore often feature the most affordable quality caviar in Pattaya. Have a look at our specials to see if and what kind of caviar we currently offer.